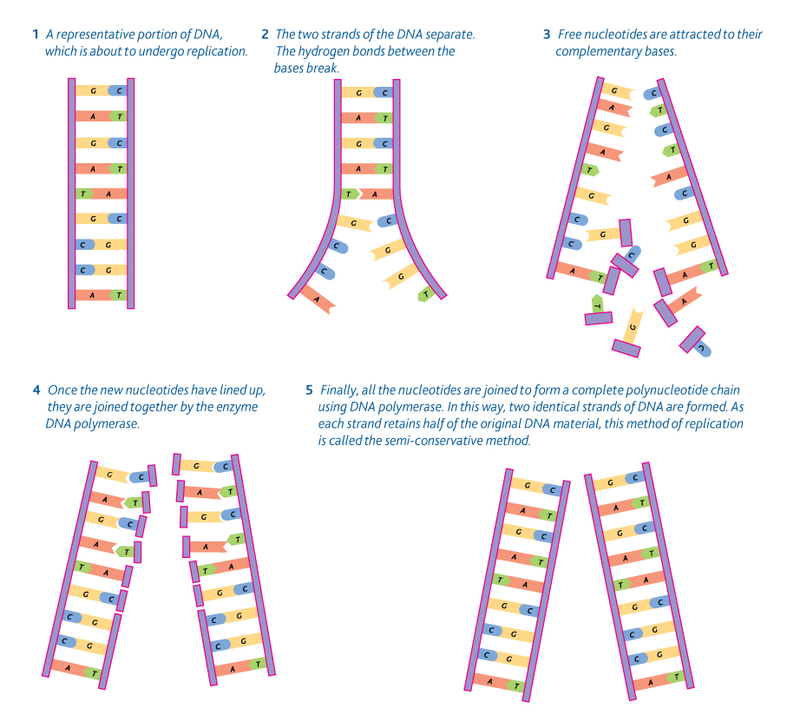 3.4.1 Explain DNA replication in terms of unwinding the double helix and separation of the strands by helicase, followed by formation of the new complementary strands by DNA polymerase. 3.4.2 Explain the significance of complementary base pairing in the conservation of the base sequence of DNA. 3.4.3 State that DNA replication is semi- conservative.